Although Ford has announced the end of its entire passenger car lineup, the company’s crossover investment is stronger than ever. Case in point: Ford’s introduction of the all-new 2020 Escape. 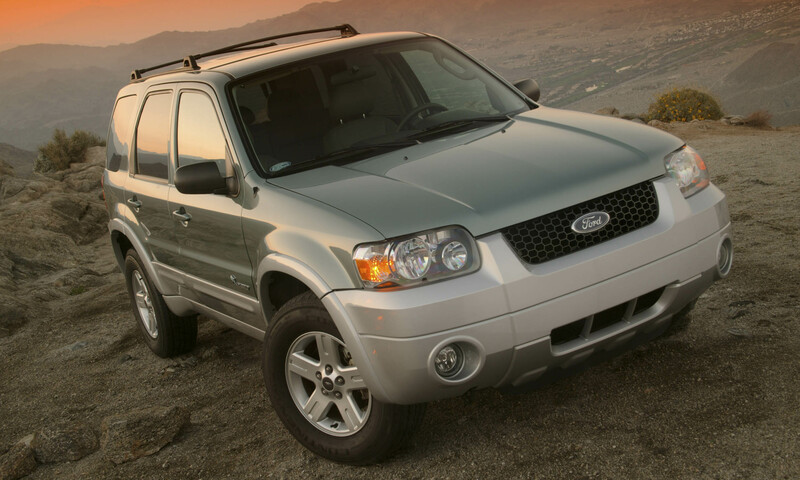 The Escape is one of Ford’s most successful models – only the F-150 outsells this small crossover in the Ford lineup – but Escape has seen a decline in sales over the last few years. 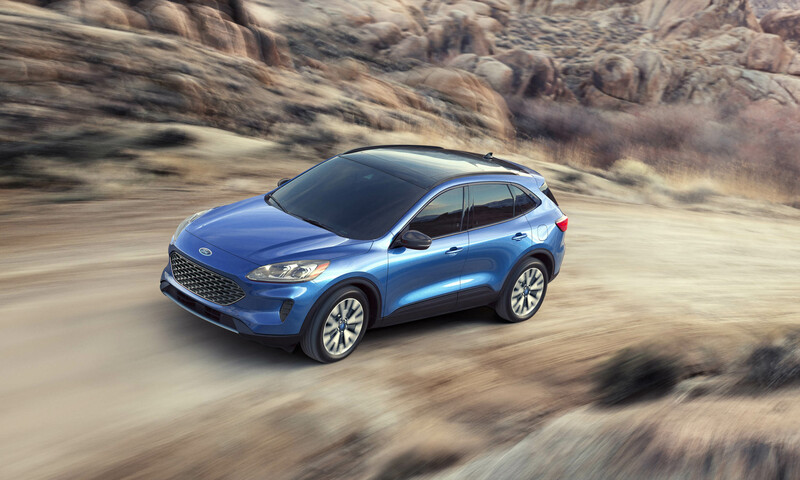 The Blue Oval anticipates reversing this trend with this 2020 model that features fresh styling, updated features and a lineup of new fuel-efficient engine options, including the return of the Escape Hybrid. 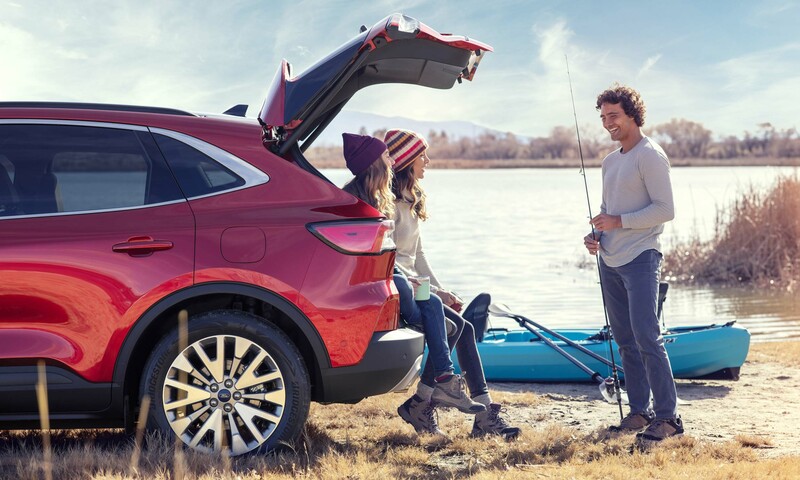 “This all-new Escape brings a sleeker, sportier design with the capability to take you on just about any of your life’s adventures,” said Ford President of North America Kumar Galhotra. “With our class-leading hybrid powertrains, customers will spend less time at the gas station and more time on the road,” Galhotra noted. 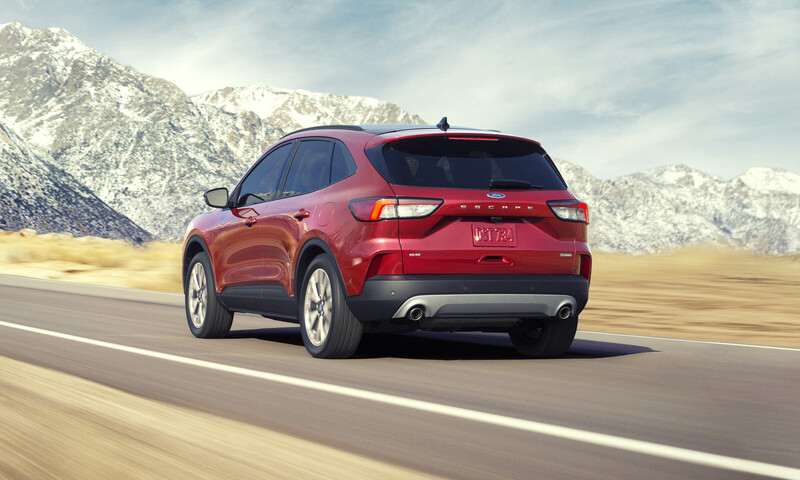 The 2020 Ford Escape is lower, wider and longer than its predecessor with a look that is quite a departure from the current generation. 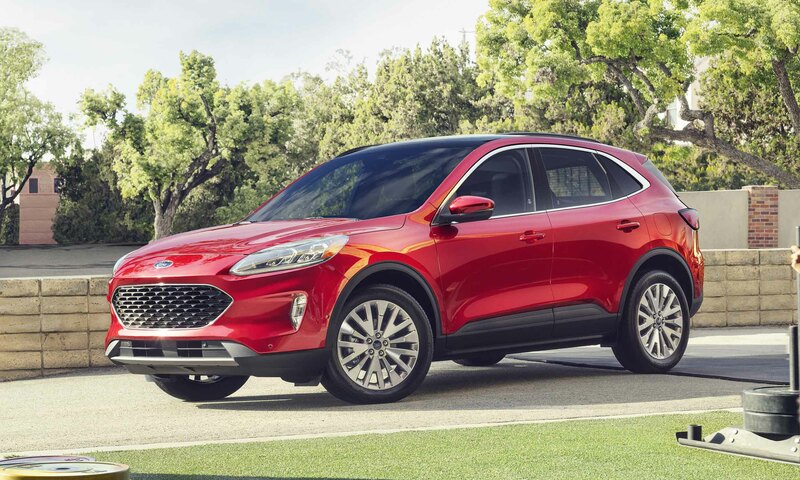 The front end features an all-new grille that is surprisingly similar to those found on the Focus or Fusion passenger cars rather than the new Explorer SUV. The grille stretches across the front and is positioned lower, while the sleek headlight design flows back along the front fenders. The effect gives Escape a sportier, more aggressive stance. 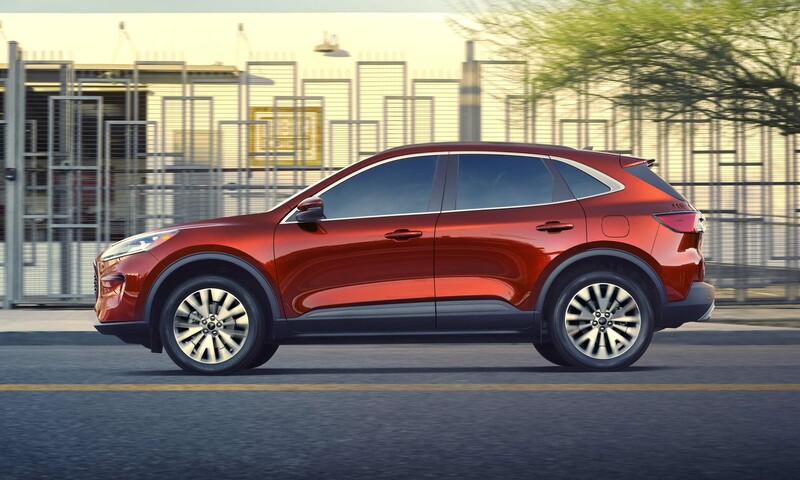 The sloping roofline provides a sleeker silhouette that not only looks good but also contributes to making the 2020 model the most aerodynamic Escape ever, further aided by a liftgate spoiler. Doors are deeply sculpted for a more modern effect, while large fender flares enhance the overall sporty styling. The rear of the new Escape shows off the new SUV’s best angle. The integrated taillights with widely-spaced ESCAPE badging across the tailgate, as well as dual exhaust, give the new model a premium look. The Escape is about 200 pounds lighter than the outgoing version, due in part to the extensive use of high-strength, lightweight steel. The new 2020 Escape will be available with a choice of four engines. The standard will be a 1.5-liter EcoBoost 3-cylinder expected to produce 180 horsepower and 177 lb-ft of torque; impressive numbers for such a small unit. The 2020 Escape will be the first Ford model line in America to offer this engine with cylinder deactivation. One cylinder shuts down automatically when not needed to further improve fuel efficiency. Activation or deactivation takes 14 milliseconds and should be undetectable. 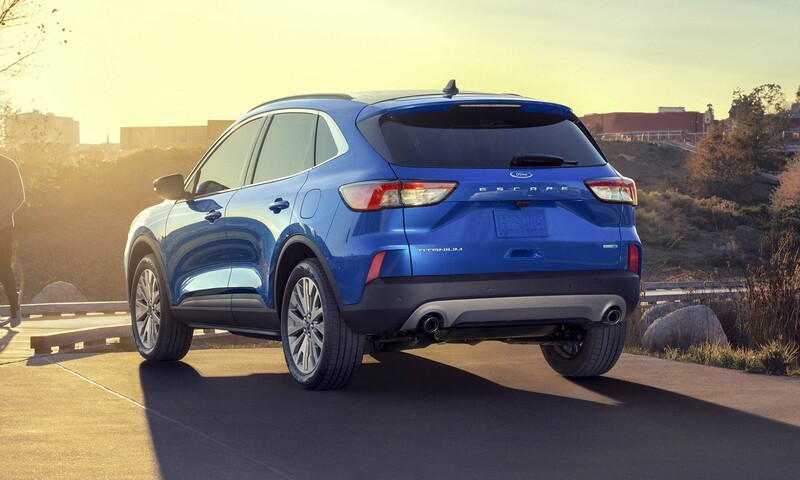 For a higher level of performance, the 2020 Escape also offers Ford’s 2.0-liter EcoBoost 4-cylinder engine rated at 250 horsepower and 275 lb-ft of torque. 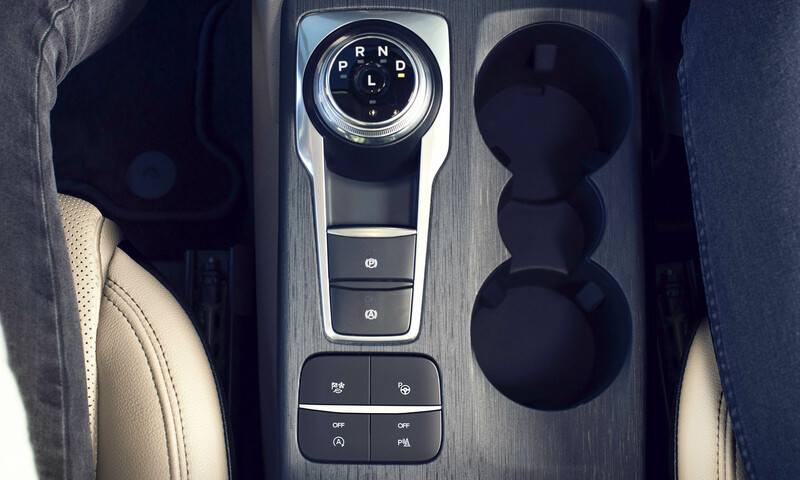 This more powerful unit is only available with Ford’s Intelligent All-Wheel Drive. 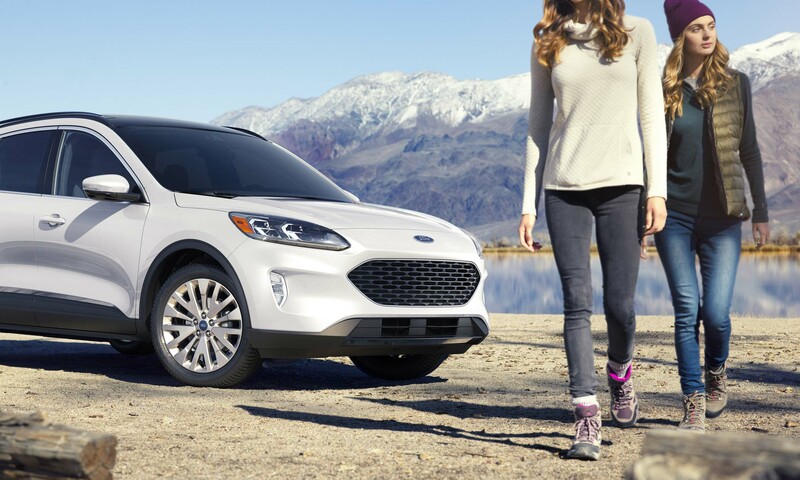 When properly equipped, the Escape with this powerplant can tow up to 3,500 pounds. Both engines will be paired with an 8-speed automatic transmission. 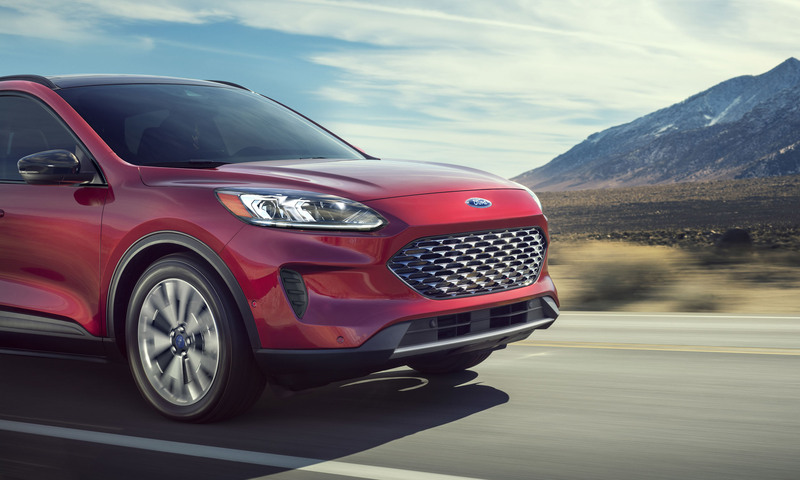 This new-generation 2020 Escape heralds the return of the small SUV’s hybrid offering. Ford was the first U.S. manufacturer to offer a hybrid SUV when the Escape Hybrid launched in 2005, but it has been eight years since the hybrid has been offered. For 2020 Escape will be available as a standard hybrid as well as a plug-in variant. 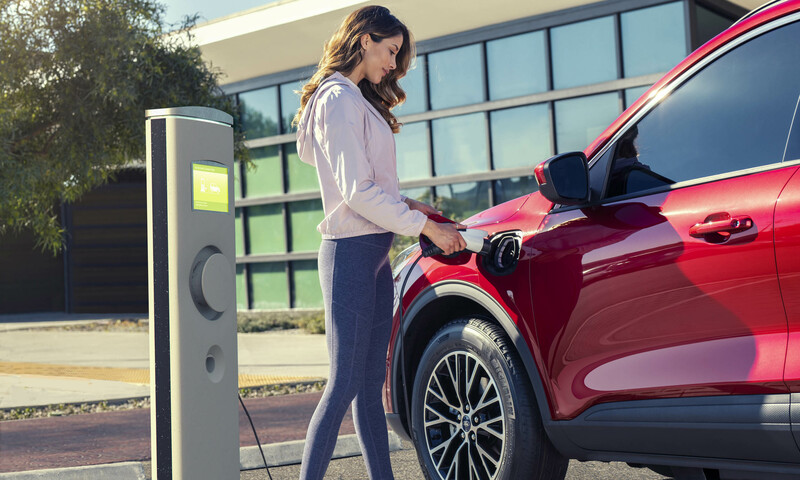 The non-plug-in hybrid, which will be standard on Escape SE Sport and Titanium trims, gets a 2.5-liter Atkinson-cycle 4-cylinder engine teamed with an electric motor to produce a total of 198 horsepower. Fuel economy numbers haven’t been released yet; however, Ford does claim that the front-wheel-drive hybrid can go as fast as 85 mph in electric-only mode. A first for Escape will be a plug-in hybrid, which will use the same powerplant as the standard hybrid with additional battery power. Total output will be 209 horsepower and an estimated range of at least 30 miles on electric only. The plug-in hybrid will offer Level 1 or Level 2 charging. Using a 110-volt Level 1 charger should take about 11 hours to fully charge the batteries, while Level 2 brings the time down to about 3.5 hours. The additional length and width of the 2020 Escape goes beyond heightened exterior charm; it means more space inside. Headroom, shoulder room and hip room in both front and rear seating areas are improved versus the previous generation. 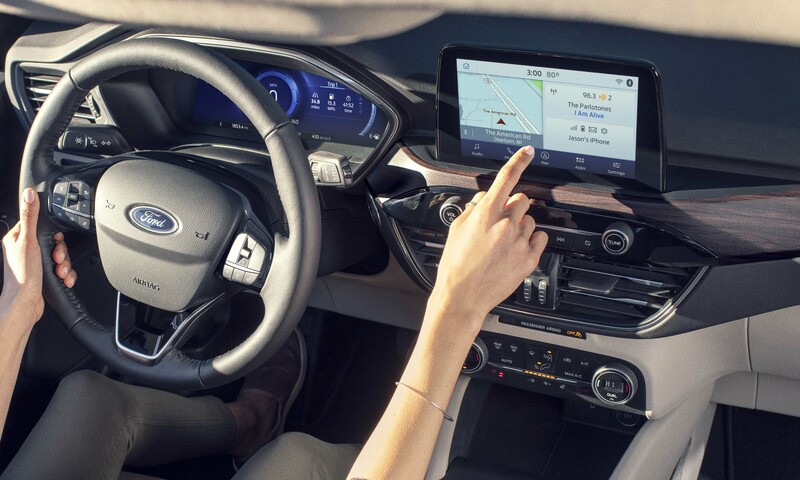 All 2020 Ford Escapes will come with FordPass Connect as standard equipment, providing a 4G LTE Wi-Fi hotspot for up to 10 devices. The system also gives drivers smartphone access to the vehicle, which allows remote lock, unlock, locate and vehicle start. For all but the most basic Escape S there is an 8-inch touchscreen display as well as a 12.3-inch all-digital instrument cluster. The available SYNC3 system includes Apple CarPlay and Android Auto as well as Ford+Alexa and Waze navigation. Also available is a 575-watt 10-speaker Bang & Olufsen audio system. 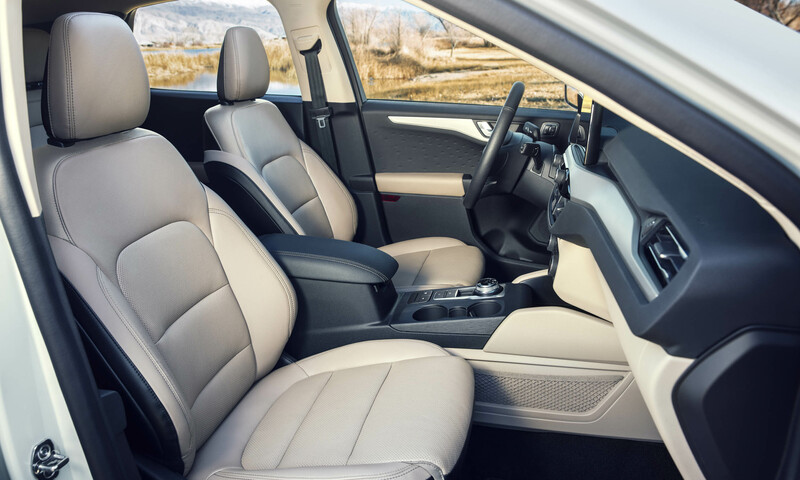 Those riding in the back seat of the new Escape will enjoy plenty of legroom thanks to the sliding second row, which maximizes passenger comfort or increases cargo capacity up to 6 additional inches behind the seats. The sliding seats are only available in the gas-powered variants. The hybrid’s liquid-cooled lithium-ion battery pack gets stored below the second-row seats so it doesn’t interfere with cargo capacity. The standard hybrid battery pack is about one-third the size of the last Escape Hybrid battery. The 2020 Escape boasts plenty of new features, but one of the most impressive is the newest iteration of Ford’s Active Park Assist 2.0. The new version lets a driver park in a parallel or perpendicular spot with a mere touch of a button; the steering wheel, gear shifter, accelerator and brake pedal all operate automatically. 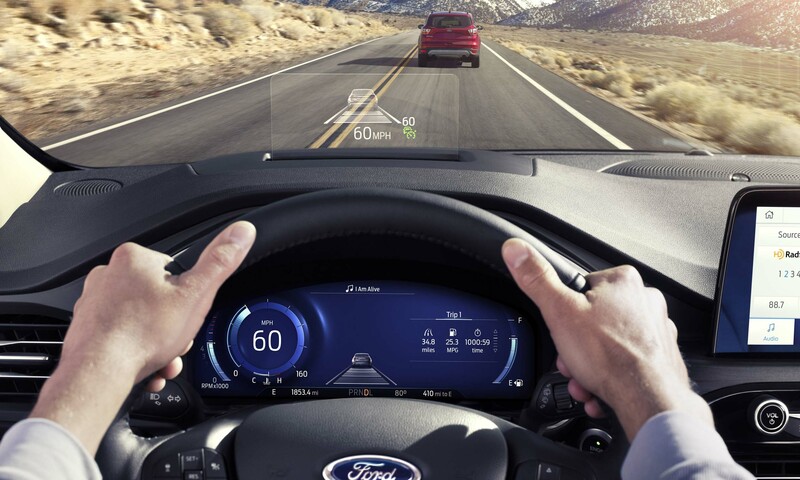 All 2020 Ford Escapes will come with Ford Co-Pilot 360, a suite of advanced driver-assist technologies. This includes automatic emergency braking with pedestrian detection, lane-keeping assist, a rearview camera, post-collision braking, cross-traffic alert and automatic high beams. Adaptive cruise control and evasive steering assist are also available. 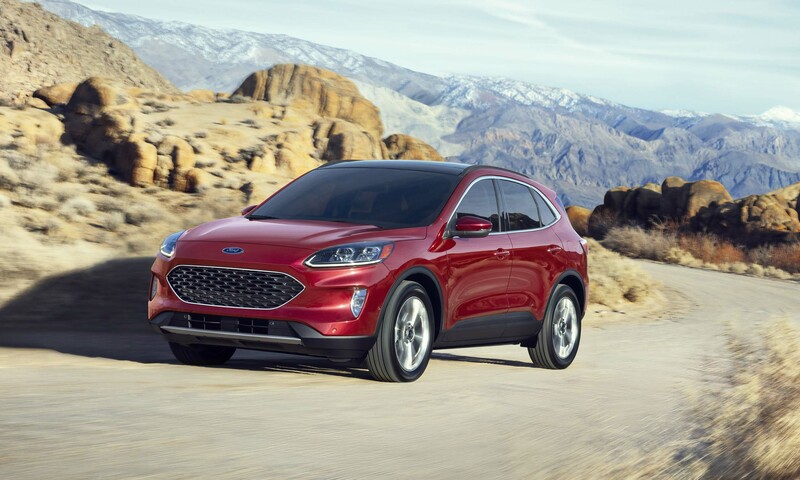 Look for the all-new 2020 Ford Escape, available in S, SE, SE Sport and Titanium trim levels, to arrive in showrooms this fall, while the plug-in hybrid version is not expected until spring of 2020. Pricing will be released closer to the on-sale date. The Escape will be built at the Louisville Assembly Plant in Kentucky.